The mere thought of standing at short leg, one of the most dangerous fielding spots in the cricket field, can send shivers down the spine of the best in business but a 15-year old Adi Dave is an exception. 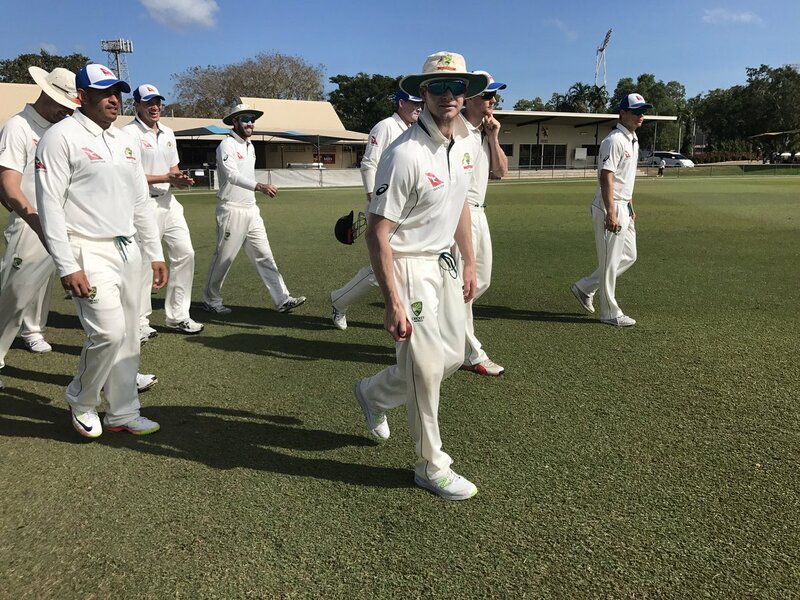 With Australia’s best cricketers fighting it out during the intra-squad practise game in Darwin, Dave was recruited by the Australian squad as a substitute fielder for the three-day match between Steve Smith XI and David Warner XI and the teenager played his role well. The very prospect of rubbing the shoulder with international cricketers can be intimidating for a teenager but an excited Dave did not have any such apprehension and was happy to wear a helmet and field at short leg. “I was pretty excited,” Dave was quoted as saying by cricket.com.au after being asked about his reaction to being thrown the helmet by Australian captain Smith. “I was happy to go anywhere. I was thinking to myself the night before ‘what if I go under there?’, but I was happy to,” he added. And while Dave did not manage to pouch any catch at short-leg, he received a nasty blow to the calf from a Travis Head sweep shot. However, Dave said the experience of fielding alongside the Australian stars was worth the injury. “Heady swept it into my calf, and it hurt a bit but I kept going. It wasn’t too bad, I just put some ice on it and I was good to go,” he said. Meanwhile, Steve Smith & Co. will leave for Bangladesh on Friday (August 17) for the upcoming two-Test series. The series will begin on August 27 in Dhaka before the teams move to Chittagong for the last Test.